The Carpenter's Ministry Toolbox: CONFIRMATION: Excellent Bible History Resource! CONFIRMATION: Excellent Bible History Resource! My husband, a former LCMS pastor, turned me on to a great book he used when he was younger. 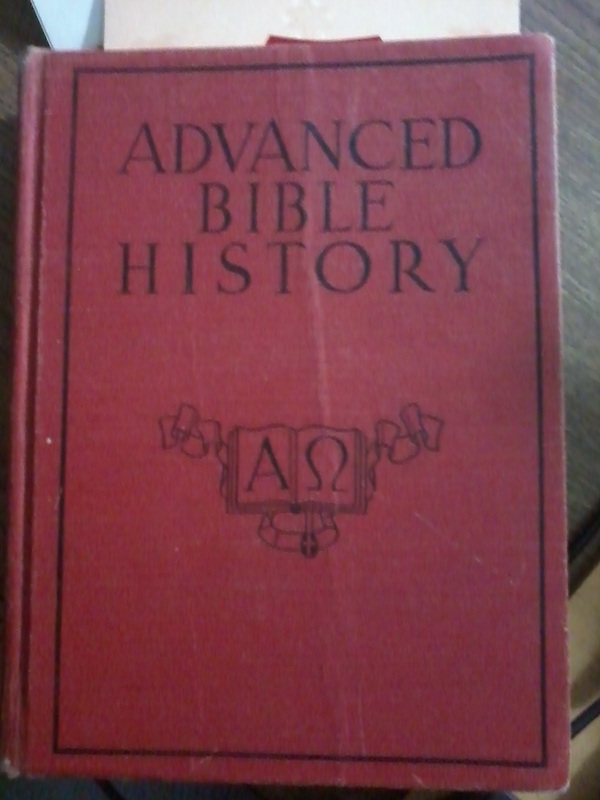 It's called Advanced Bible History in the Words of Holy Scripture with Illustrations, Maps, and Notes and it was published in 1936 by Concordia Publishing House. This book is fantastic! The way it's broken down is good for students and, contrary to questions we ask today, the review questions it asks are wonderfully challenging. They really make kids think about the reading! Sadly, this book is no longer in print. I've seen the updated version, but haven't had the opportunity to examine all of it closely. It would appear that the majority of the changes were not in the choices of Bible readings, but in language and the questions asked. Sometimes today we are so busy trying to force big connections that we miss the smaller ones within the reading. We're in such a hurry for kids to get the "big picture" that we don't take the time to find out if they understand what they've just read. Classify the parables of Christ according to the lessons they were to teach. Write or relate a short biography of Moses. Show how the promises of God were fulfilled in this section. Name some of the judges of Israel and state what they did for Israel. What caused the repeated downfall of the Israelites? As you can see from the examples, public schools are not the only place where we have "dumbed down" education and expectations of learning. If you need a good reference book for Confirmation or Bible literacy, this is the one. There are only a few copies that can be found used on Amazon or you can contact Concordia Publishing House and see if they have any in a closet somewhere. In the meantime, check out my Bible Reading Guide and Workbook for the Old Testament (Middle School and High School). You can get a pdf version and make photocopies if you don't want the actual workbooks. I'm almost done with the Gospels and am working as fast as I can. Keep your expectations up! Teaching is the most important thing you do! LUTHERAN SCHOOLS: What's your philosophy?